The Sailor Quartet are a foursome of senshi awakened to serve as Sailor Chibi Moon's guardians; however, though they were to sleep in their asteroids until the time came to protect her, Nehellenia awakened them prematurely to be the evil Amazoness Quartet. When they begin to regain their memories, Nehellenia trapped them in four crystal balls, and after Nehellenia & Zirconia were defeated, Sailor Saturn asks Neo Queen Serenity to awaken them, and they become Sailor Juno, Sailor Ceres, Sailor Vesta, and Sailor Pallas. 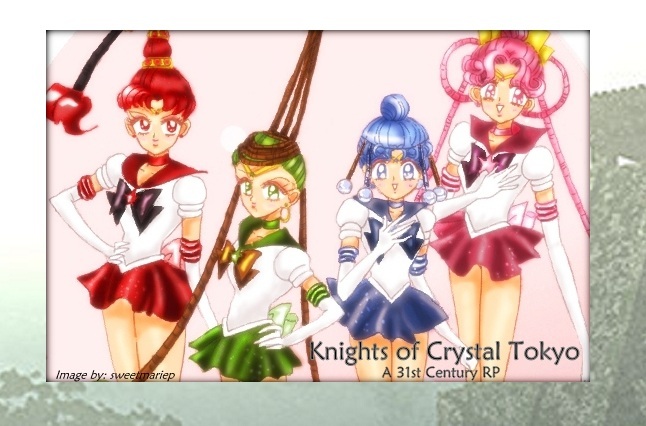 They reawakened in the future 30th century to serve as Chibi-Moon's team, as intended, and when Eternal Sailor Moon fought at the Galaxy Cauldron, they went with Eternal Sailor Chibi Moon to help. They arrived and killed Sailor Heavy Metal Papillon, and helped kill Chi; they tried to help kill the evil senshi, but were knocked unconcious. They arrived at the Galaxy Cauldron just in time to see Sailor Moon disappear, and thought they had failed to protect her. However, Sailor Cosmos appeared and explained to them that Sailor Moon sacrificed herself to the cauldron, and that all senshi would be reborn and planets would be restored. They were then sent back into the future, and continue to be Sailor Chibi Moon's team. * Amazoness Jungle Arrow - this group attack can be used in conjunction with the other members of the Sailor Quartet. * Pink Ladies Freezing Kiss - this group attack can be used in conjunction with the other members of the Sailor Quartet and Sailor Chibi Moon. To play one of these characters, see the "Adoption of a Character" announcement. Once a senshi has been adopted, the adoptee's adoption form will be pasted onto that senshi's page to designate unavailability.